Your tax advisor can save you a lot of money. Choose the right one! A selection from the bestselling RICH DAD ADVISORS: TAX-FREE WEALTH. Your tax advisor can save you a lot of money. Choose the right one! 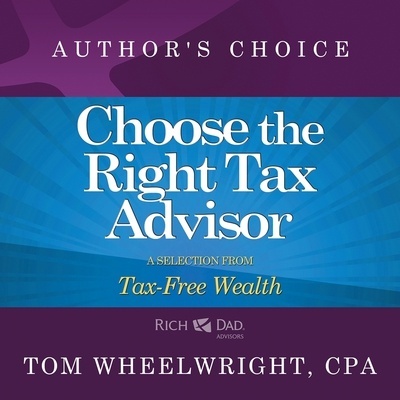 A selection from the bestselling RICH DAD ADVISORS: TAX-FREE WEALTH.